Are you ready for yet another of PartyMojo’s favourite theme party package? If you’re thinking classic party, you’ve come to the right place! Introducing PartyMojo’s Mickey-Inspired Theme Party Package! 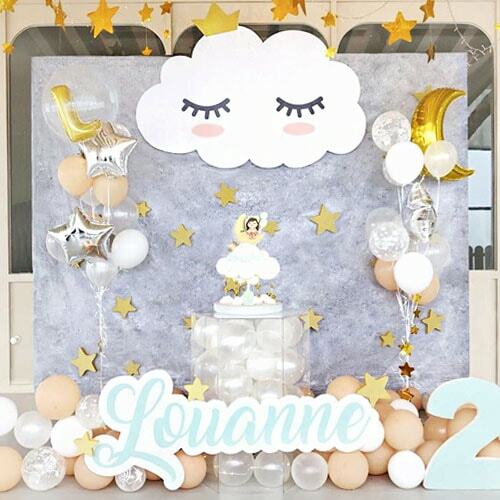 This is a favourite choice of theme at baby showers, first birthdays, toddlers, but it does not stop there! The fun never stops when you party with Mousey! Run, jump, laugh, sing along and have the time of your life with PartyMojo’s Mousey Theme Party Package, all in your own Clubhouse! 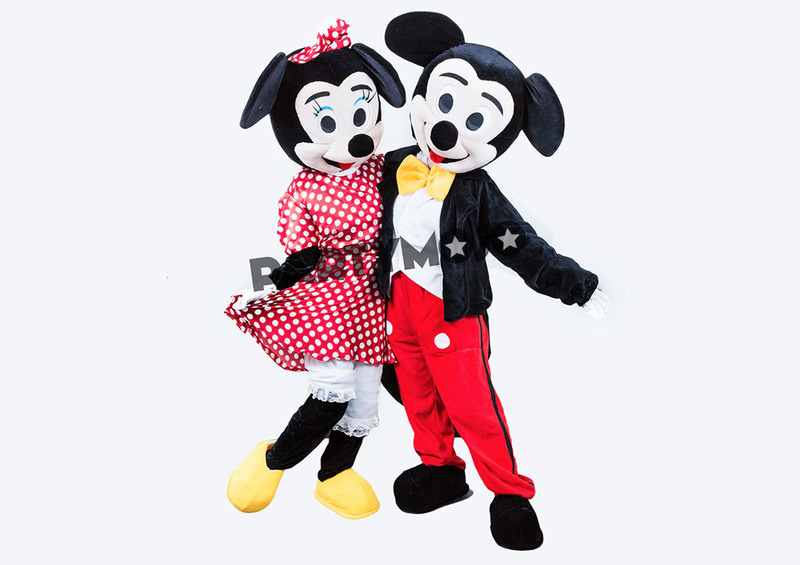 – 2M x 3M Mickey scene setter for photo taking! – 50 Air filled balloons around the room! – Table cloth for cake cutting! 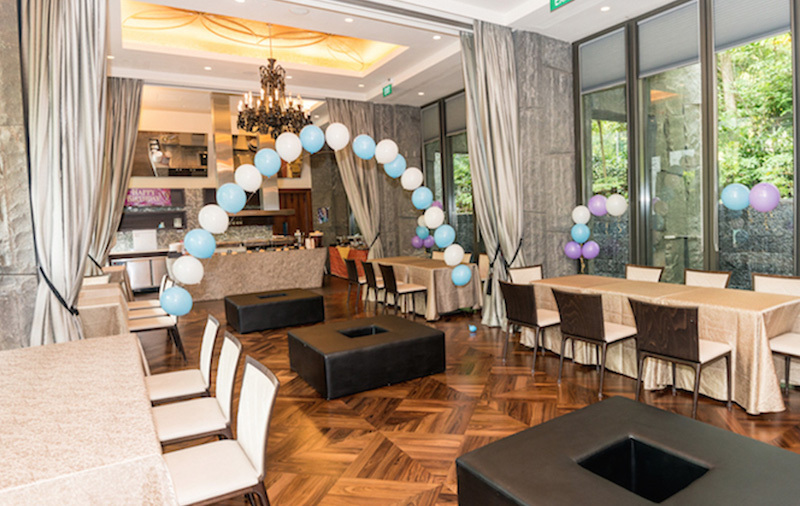 *PartyMojo Team will arrive 1 – 1.5 Hrs prior to the party to decorate, depending on the venue. – Cute mousey headbands for all! – 1 Mousey mascot of your choice! – Assist the game host during games session! – Talk to us to change this to balloon sculpting or glitter tattoo! – Small goodie bags given to all kids who participate in games! – 3 big prizes given to game winners! – Perfect chance for parents to snap beautiful pictures of the kids and the mascot! – PartyMojo crew will arrive 1 – 1.5 Hrs in advance to set up the decorations for this party! Total set up time for the packages will strictly be for 1 – 1.5 hrs only, in which PartyMojo staffs will be putting up the 50 non-helium balloon decoration, backdrop, balloon columns, Mousey headbands, table cloth, goodie bags. PartyMojo staffs will not be responsible for putting up client’s own decoration during set up time. 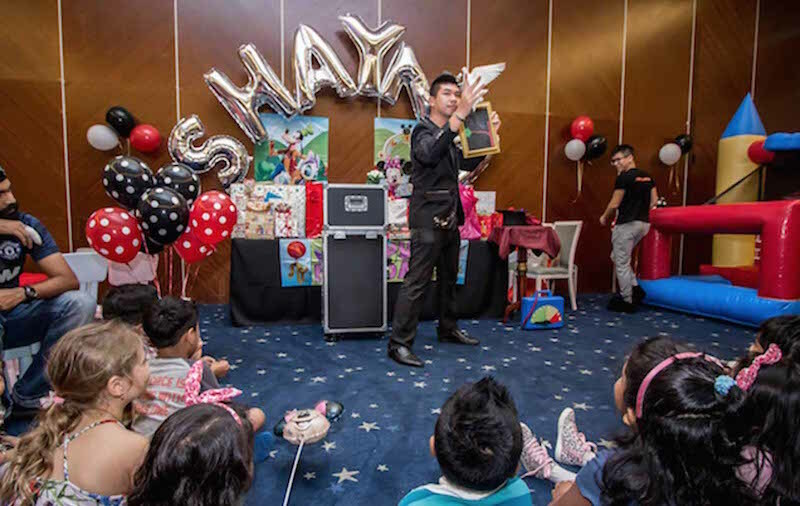 The Mousey themed party package by PartyMojo is an all inclusive Mickey inspired package, consisting of Mousey themed decoration, fringe activities, engaging games, party mascot and party goodie boxes for all! It’s suitable for parties in the house, function rooms, cafes, restaurants or anywhere you can think of as long as the venue offers us a wall for us to stick our Mickey inspired themed backdrop! 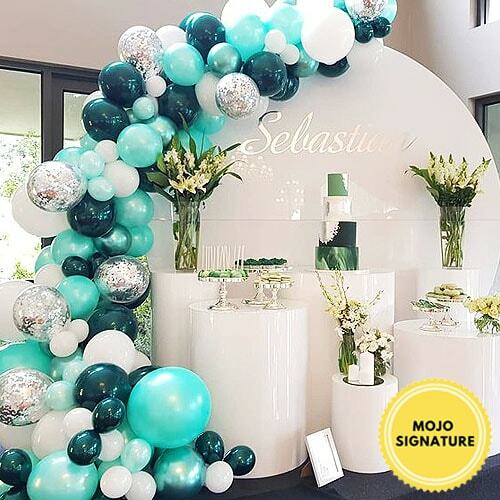 Our team will arrive 2 hours in advance to decoration your event venue with our special PartyMojo Mickey Inspired Party Backdrop, a pair of balloon columns and 50 air filled decorative balloons around your function room! We will even bring a disposable table cloth for your cake cutting table. 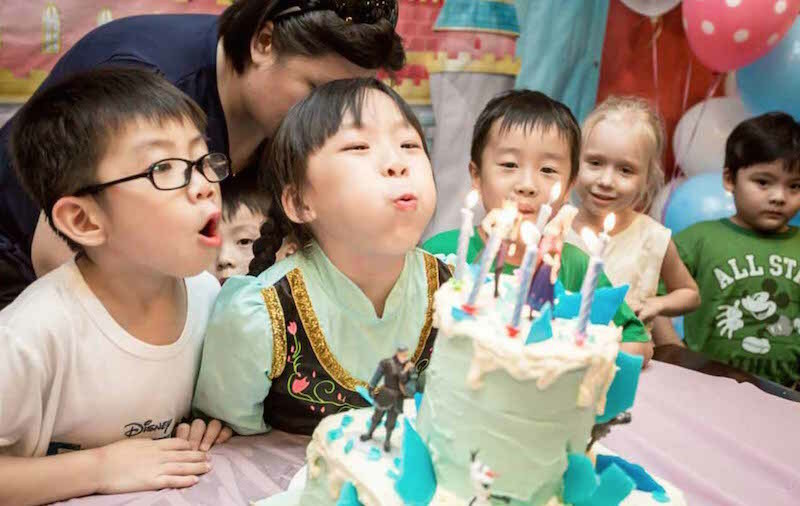 The total duration of the party is 2 hours with non-stop fun filled programmes! During the first hour, there will awesome face painting activity going on, simply tell our artists know which is your fav Mickey mouse movie character and we will give you a total mousey makeover! If you think that face painting is too common at birthday parties then fret not, because we have special Hama beads activity just for your mousey party. 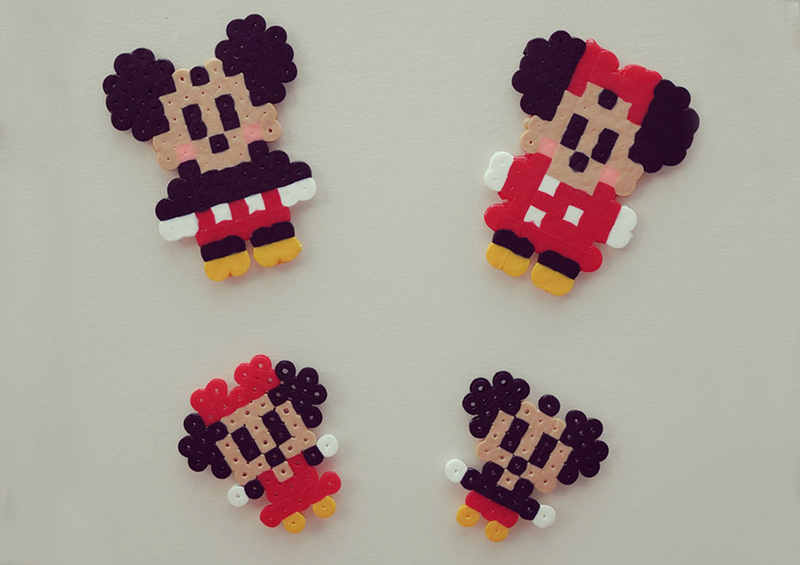 Every single kid will have a chance to make his / her own Mickey / Minnie character with the Hama beads. Our art teacher will be there to do the ironing of the Hama beads so rest assured that it’s a safe activity for the Mickey Inspired party! 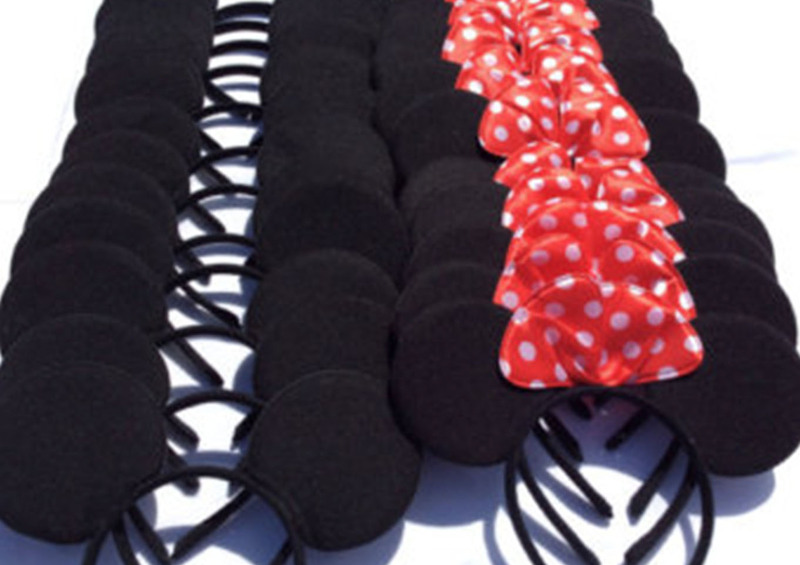 What’s more, cute Mickey / Minnie inspired mousey headbands are provided for all the kids the moment they step into the party venue, and they get to bring them home after the party! Fun and exciting games will be conducted by our game hosts and do not forget the special appearance by favourite Mousey Mascot! Not sure what to get for return gifts? PartyMojo is here to the rescue because in the very same package of $850 Nett only, goodie bags are provided! Yes, all you have to do is sit back and let PartyMojo take charge of the party. It’s fun, it’s popular, it’s loved, it’s evergreen… it’s none other than Mickey! PartyMojo dreams up your Disney-inspired fantasy party with the Mickey-inspired theme party package. From time to time everyone wishes to throw a Mickey party. Well, think no more! For the enjoyment of one and all, ParttyMojo’s Mickey-inspired theme party will turn the frowns on your faces upside down, and yes, we are capable of doing that! Think 3 circles, 3 colours, red, white and black! That’s right! 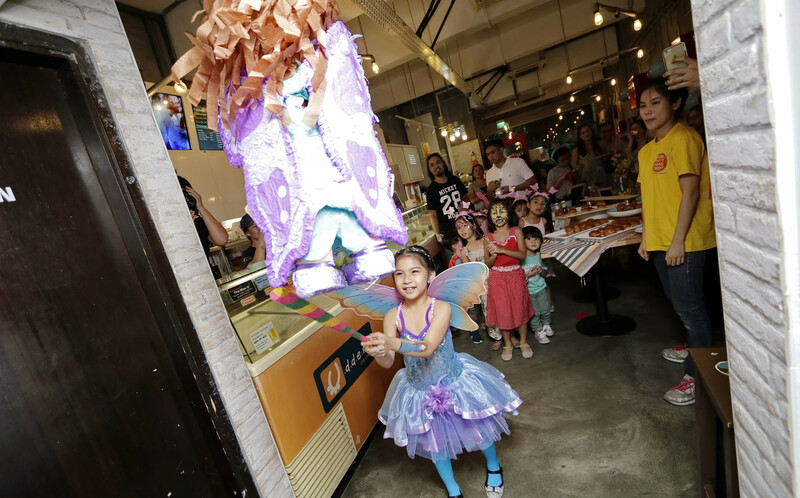 If you’re thinking that to jazz up your party vicinity, then PartyMojo’s Mousey-inspired theme party package is the perfect package for your kid’s party! 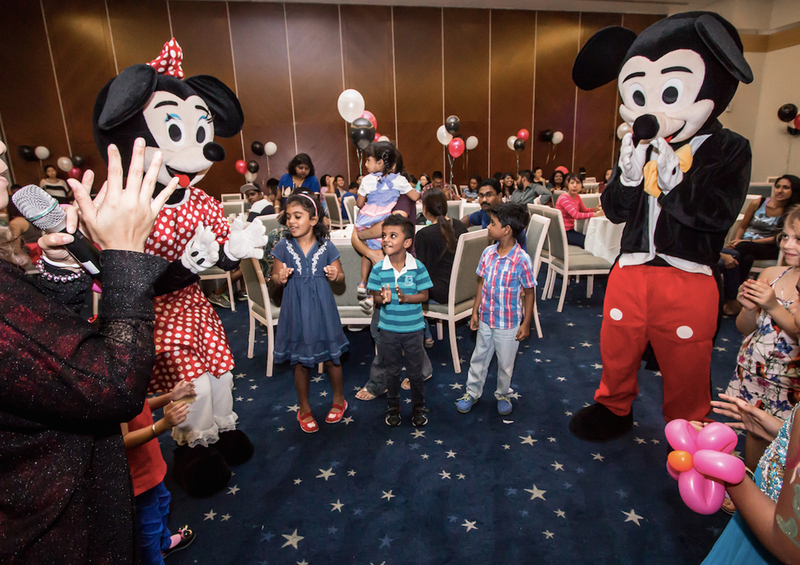 Our Mickey-inspired theme party package is all-inclusive, equipped with Mickey themed decoration, fringe activities, engaging games, party mascot and even Mickey-inspired themed goodie boxes for all guests! 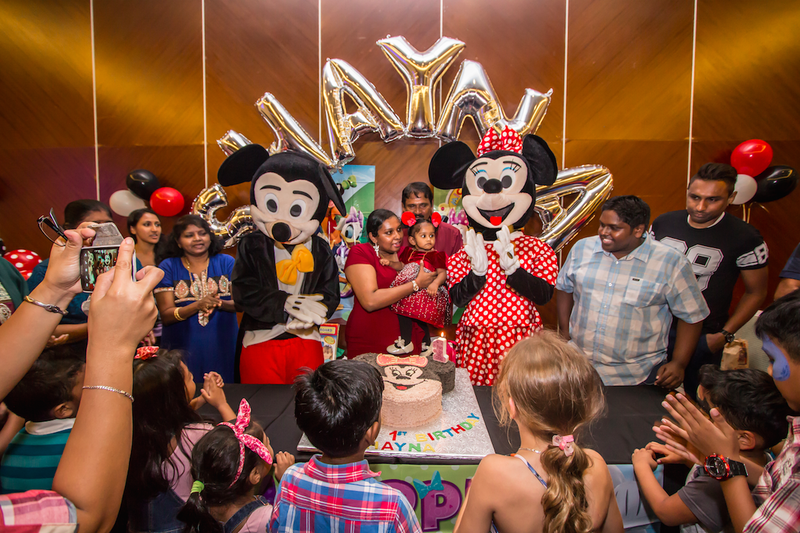 This Mickey-inspired Kids Party package is perfect for indoor parties such as at your home, in function rooms, cafes, restaurants, also, of course, outdoor parties on your backyard, or just anywhere you wish, as long as your venue offers us a wall to put our Mousey themed backdrop on. Welcome to the Clubhouse! For your upcoming Mickey-inspired themed kids party, PartyMojo’s team will arrive 2 hours in advance to set up your venue with our exclusive PartyMojo Mickey-inspired Party Backdrop as a scene setter that is 2 metres wide and stands 3 metres tall! Amazing! Photo taking never looked more awesome! PartyMojo also provides 2 Mickey-inspired themed balloon columns that are approximately 1.6 metres in height, as well as 50 air filled balloons to surround your room with colours of your choice. We dress your cake-cutting table with a disposable tablecloth, for your convenience. Our team of Mousey-Mojo gamers will come equipped with a Bluetooth music player suitable for normal-sized function rooms or home usage, to bring the hype to your party! If your party is a bigger Clubhouse, do inform our operational staff, so they can connect our music to the sound system, with proper authorization. 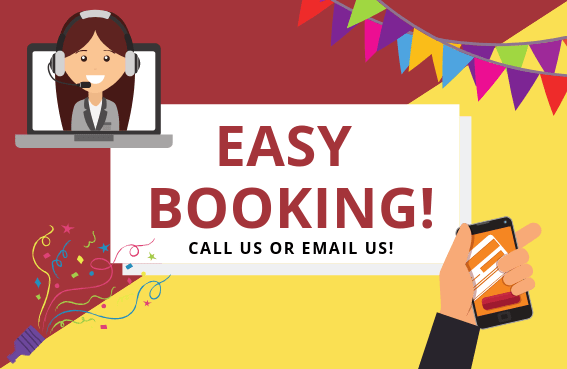 If you’re planning a merrier spree, contact our staff prior to the party, so we can provide you with our very own professional sound system, should you hold your party outdoors or at vast function venues! 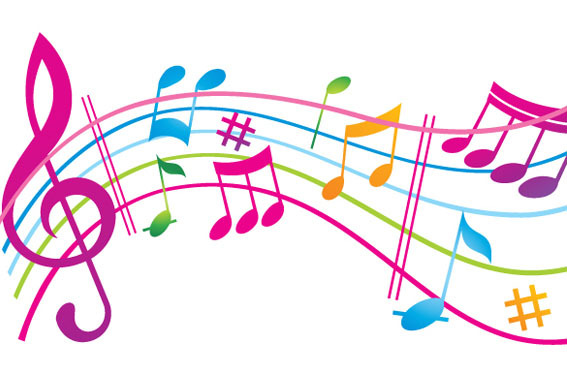 PartyMojo rocks your party with a huge selection of children songs from our Mousey playlist! Cutey Round Ears for All! What’s a Mousey party without Mickey ears? PartyMojo equips your child’s Mousey-inspired party with adorable Mousey headbands for all the guests! 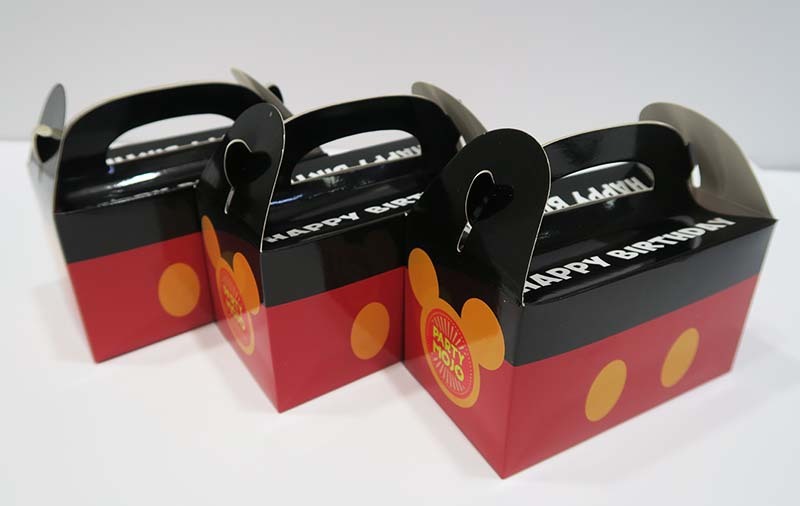 Little Mickeys will get Mickey ears, and Little Minnies will have them with a red ribbon on it, and take them home! What a darling! We’ve had a party, we’ve had games and gifts… what’s missing? Throw your little one a pleasant surprise by preparing a surprise Mousey mascot appearance, and see the delight in your child’s eyes (some will even be moved to tears)! Mascot(s) will grace your party for an entire hour! Meet, greet, and grab this chance to take lots of pictures with your favourite party icon! 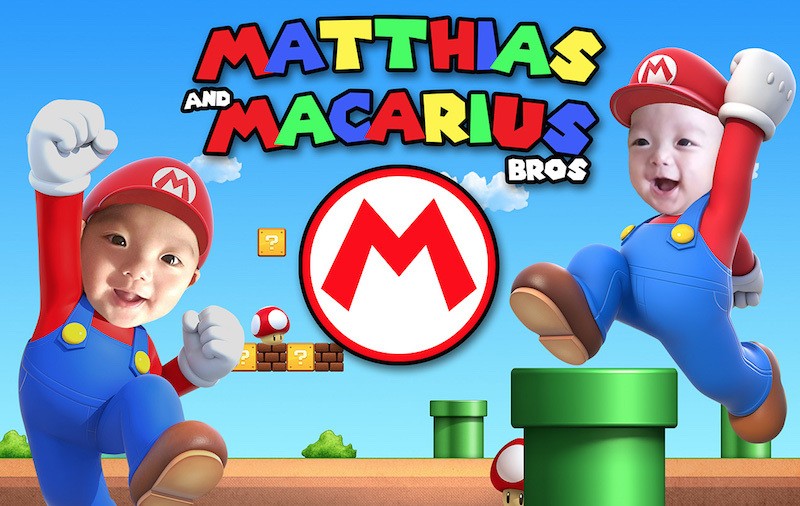 What’s more, your favourite mascot will assist PartyMojo gamers host the games for your kids and all their friends! That’s right! No thinking twice for this option, get the surprise mascot now! A Little Mousey Souvenir Anyone? Unleash your creativity! Make your own take-home souvenir from the party! PartyMojo’s Mousey-inspired Theme Party Package offers Hamma Beads Crafting as a fringe activity! Now your young ones can make their own favourite characters from Hamma Beads, and what’s more, those can be designed into keychains and anything you wish! For 1 full hour, a PartyMojo Art Teacher will be there to guide and assist the little ones in making their favourite characters out of the Hamma Beads! How fun! Loving the Mouse a tad too much? 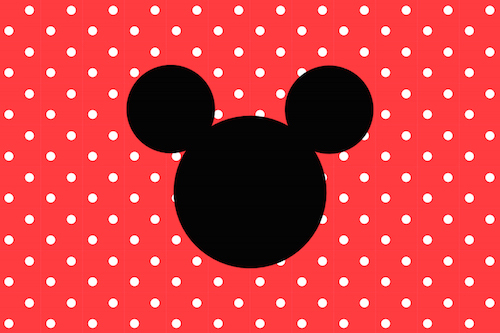 This is your chance to be Mickey or Minnie! This package offers 2 whole hours of face (or arms) painting for everyone! That’s right, not only for the kids, moms and dads can have a go at it too! Have your faces painted with mouse ears, red, black and white as you wish! PartyMojo only uses toxic-free face paints from the UK, tested and safe on baby skin! If you wish to have a different activity such as Glitter Tattoo or Hair Braiding, do contact our staff and talk to them about it. We are always here for you! In the course of the party, PartyMojo’s Mousey-inspired Theme Party Package offers a 45-minute session of games time! Have fun, sing, dance, roll around and run with PartyMojo’s Kids Party expert game hosts! You may choose 5 games from our never-ending Wonder-list of games! Among the most popular games are Potato Sack, the Parachute Game, the Limbo, the Tag Game and many more! Talk to our PartyMojo coordinators about your choices! Rest assured, all of the games props and music will be provided as well! Little Mousey-inspired goodie bags will be given to all participating kids and for the top 3 winners, 3 big Mojo game prizes will be yours! Take pictures with the Mousey mascots (or any other mascots of your choice) for keepsake, or upload them as photos of the day! Tell you friends you met the Disney mice and they’ll be intrigued! Parents, take this chance to save the smiles of your little ones with their favourite Mousey characters! 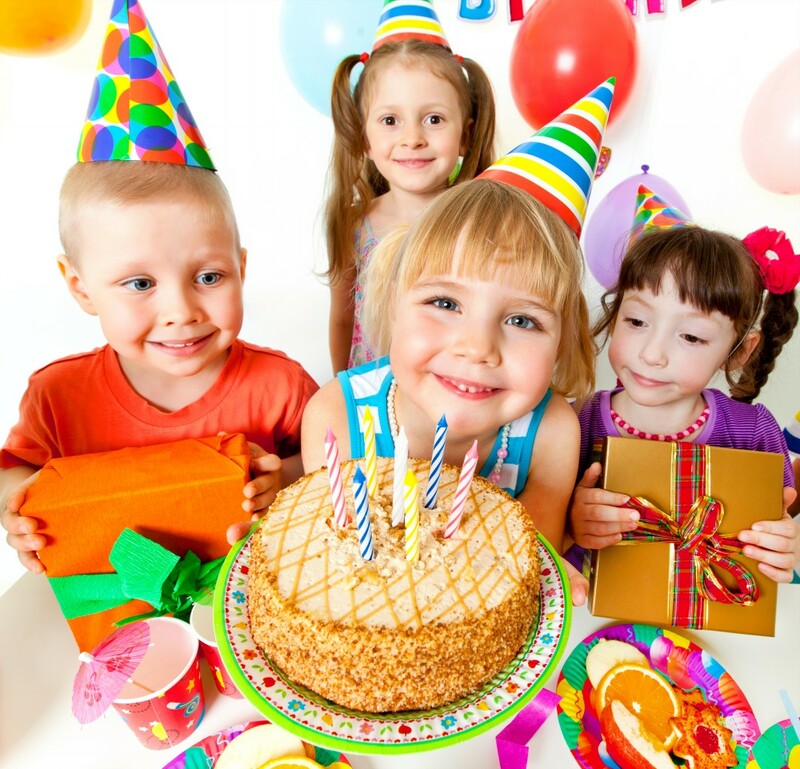 Our PartyMojo staff will gather guests around the cake-cutting table when the time comes, and PartyMojo will provide and play the birthday song for your child on this most momentous time! Talk to our staff prior to the party, if you have a special song you’d like aired instead. If you think you want more than what we provide for our basic Mousey-inspired theme party package, you may customize our package as you wish, and your wish is our command! More fun activities to have in a Mousey-inspired theme party await you! 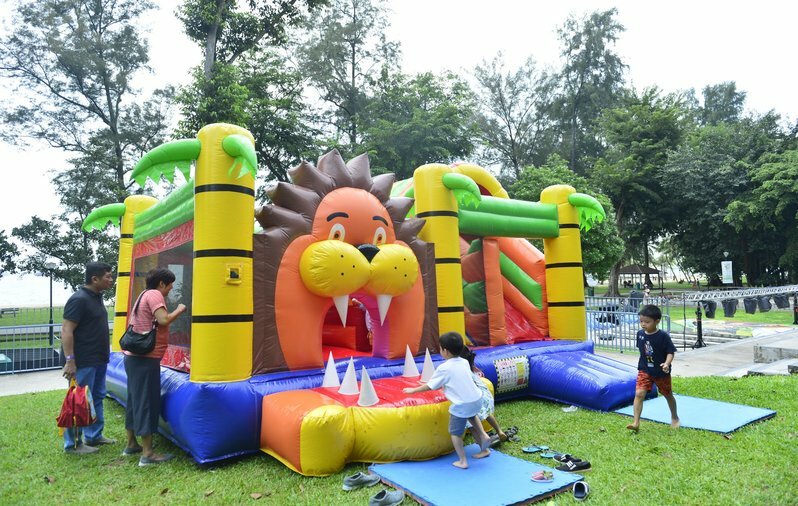 You may choose from a series of balloon sculpting, arts and crafts, and many more! 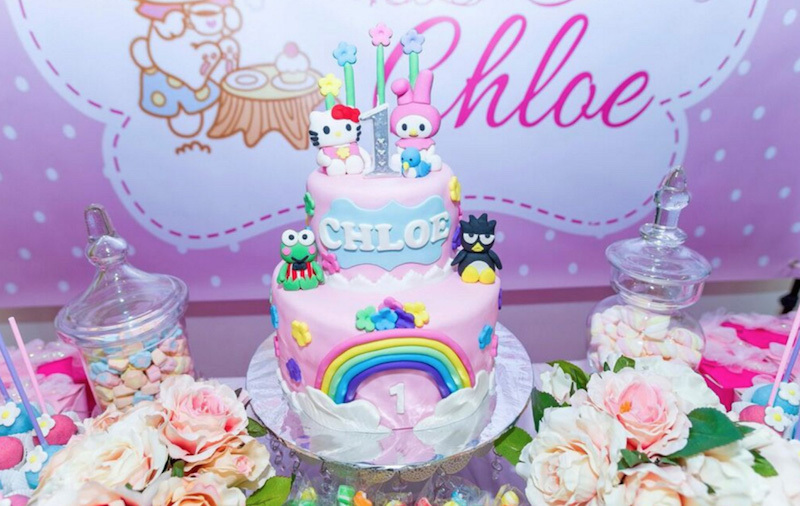 Other available custom-made items include Mousey-themed dessert table, banners, invitations, backdrops, and everything you can think of! You name it, and we’ll have it! Simply write in to us or give us a call to discuss. Provide us with your event date, time, and place so we can tentatively save a slot for you. Tell us the name of your little Mickey or Minnnie, so we can put a note for our event staff to pay special attention to him or her! Let us know your budget, so we can better suggest to you the activities you can add on for the Mousey-inspired themed package. 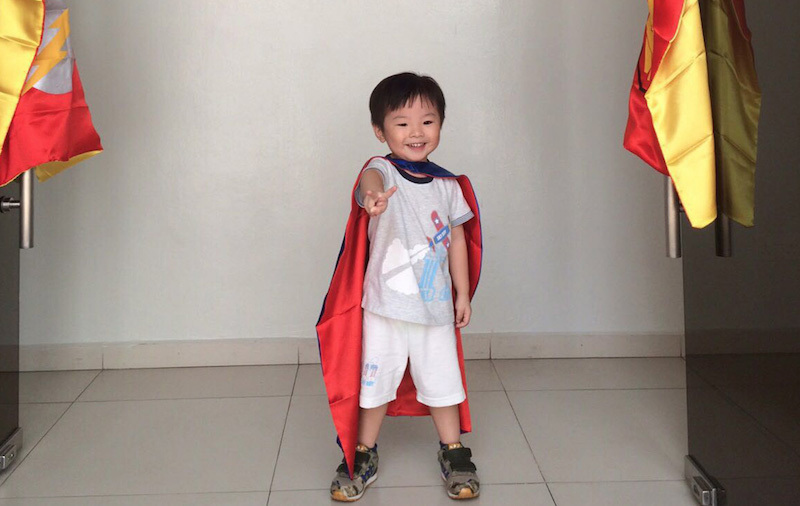 Together, we can make your child’s Disney dream come true! Can’t visualise the party through phone conversation and emails? Simply call in to book an appointment with us for a free consultation at our office! How do I know that PartyMojo is the right choice for my Mousey Themed Party? 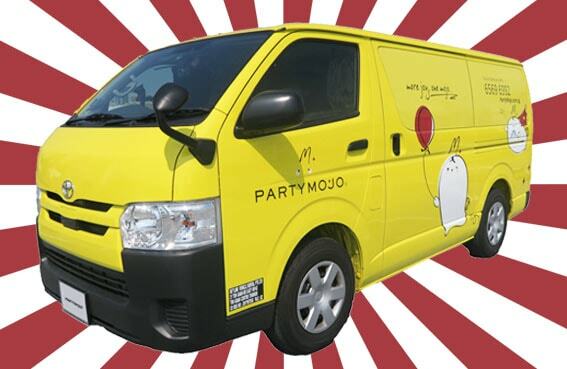 PartyMojo ensures the best quality of services for every aspect of the party. Our friendly sales staffs are well trained and experienced in Party planning and would give you professional ideas to craft your party. Our operational team consists of a group of innovative, motivated people to ensure that your party runs smoothly. We have a unique training system for each and single one of our on-site event staffs to ensure that you and your guests would only receive the best of the best service. Not convinced? 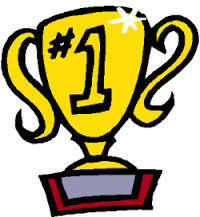 Check out our positive reviews on our homepage and Facebook page.